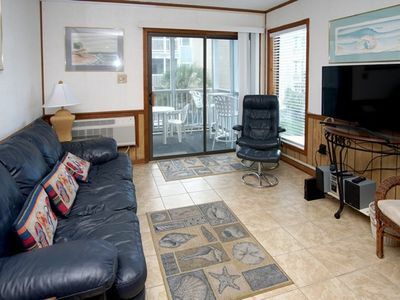 Lg Corner Direct Oceanfront, Corner 3BR/2.5BA - Last Minute Specials !! 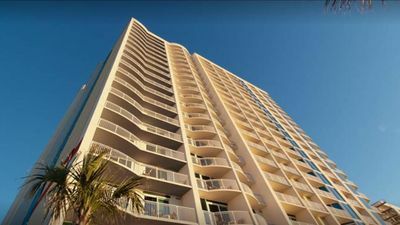 A direct oceanfront corner location gives this condominium the best ocean and coastline views but also a great view overlooking the pool. Free High Speed Internet Access available! Recently renovated with an updated kitchen, new furniture, all new tile and laminate flooring, tile master bathroom shower and paint. 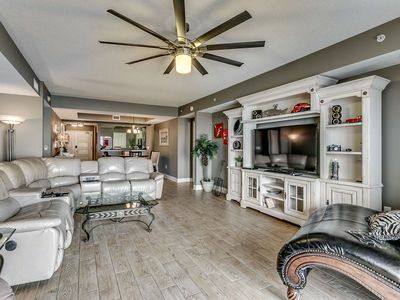 There are extra windows and a ceiling fan in the living room as well as ceiling fans in all bedrooms. 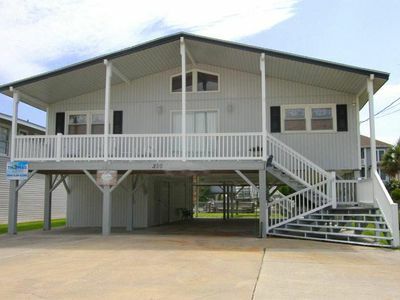 There is a screened entrance porch for storing all your 'beach items' and a second screened porch on the oceanfront adjacent to the living room. 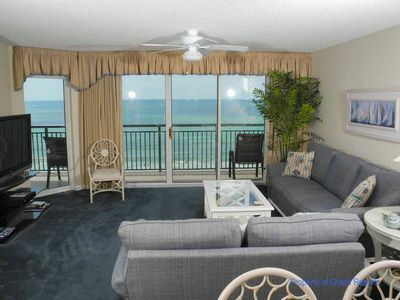 There is also an oceanfront balcony off of the master bedroom. 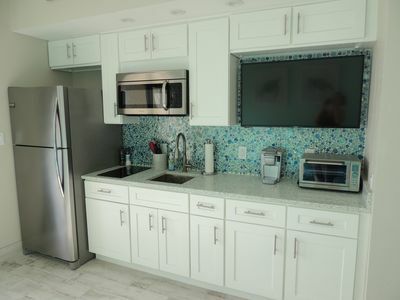 There is a private laundry room with new full-size washer and dryer. Our condominium is on the top floor so no 'footsteps' above you to keep you up at night or wake you up in the morning. 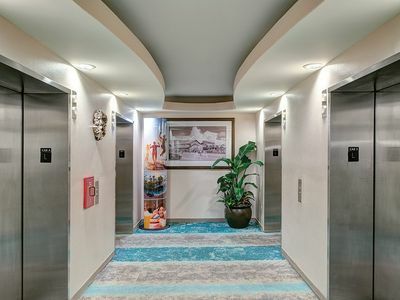 There is an elevator just down the hall as well as luggage carts. This is a 'Smoke Free' condominium. No smoking is allowed inside the condominium or on the balconies. 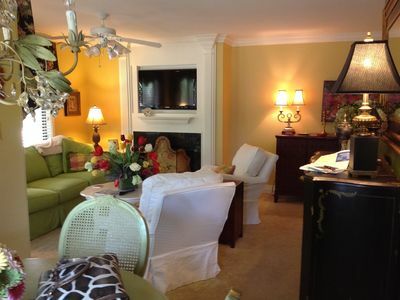 Linens are not included but may be rented for an additional $80 per week. 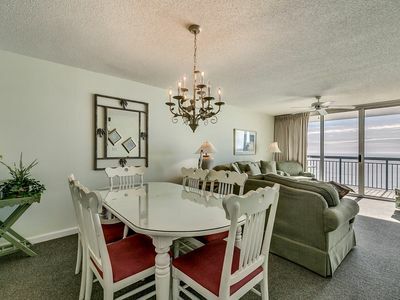 Pelican's Watch is located on the popular Shore Drive and is only a short walk to the popular 'Ocean Annie's Beach Club' and the Apache Fishing Pier. The 'Straw Market' is a just down the street with bike rentals, a Subway sandwich shop, a convenience store, a pizza and ice cream shop, a gift shop, and an arcade. 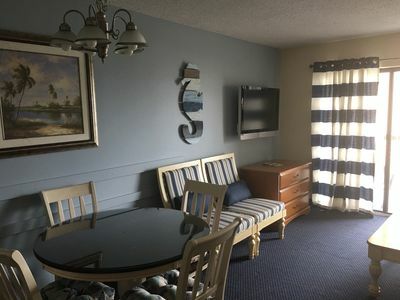 Within a three-mile radius there is a Super Wal-Mart, Tanger Factory Outlet Stores, a Kroger 24-hour supermarket, the Colonial Mall with a cinema, and the new Bass Pro Shop, The Carolina Opry, and The Dixie Stampede (both offering live entertainment), and many great restaurants. 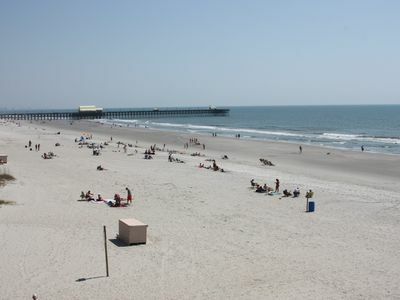 There is also Broadway At The Beach to the south and Barefoot Landing to the north (both within five miles). 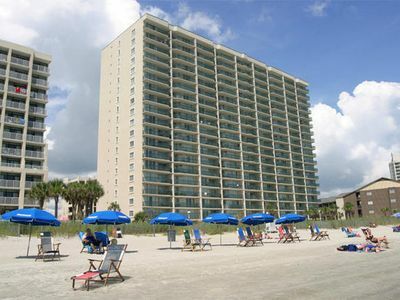 We also have two other oceanfront condos close by. The VRBO numbers are 7861 and 132861 so please check these out also! Student Fun Down! 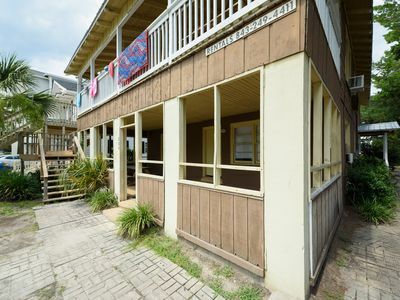 Across the Street from the Beach! On Ocean Blvd! 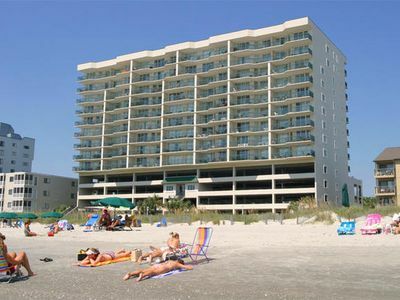 Angle Oceanfront 2 Bedroom Condo South Tower! Everything you need -stress free!! 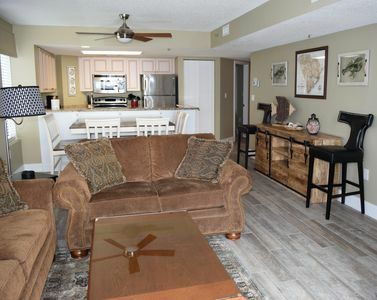 North Shore Villas 706, 3 Bedroom Beachfront Condo, Hot Tub and Free Wi-Fi! 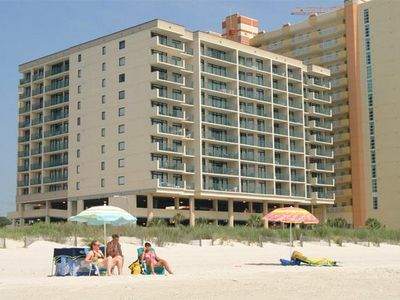 Towers on the Grove is a beachside paradise! NEW LISTING!!! 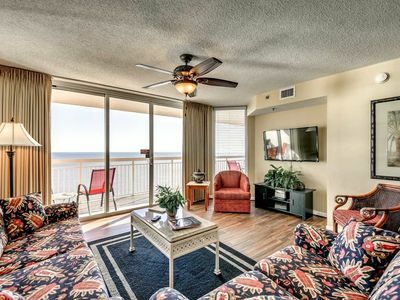 Spotless Oceanfront Penthouse!! 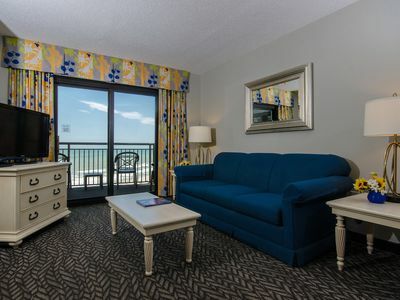 BOOK NOW FOR SPRING BREAK! 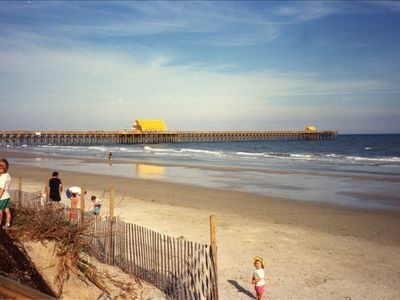 Windy Hill Dunes Oceanfront 904! 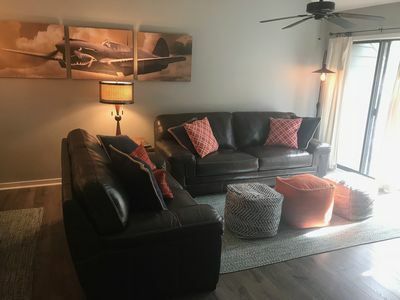 3 BR Premium Condo. Book your vacation today!